Cisco warned on Monday of serious flaws it found in an Internet-connected thermostat control, which it said are typical among products of vendors who aren’t well-versed in network security. 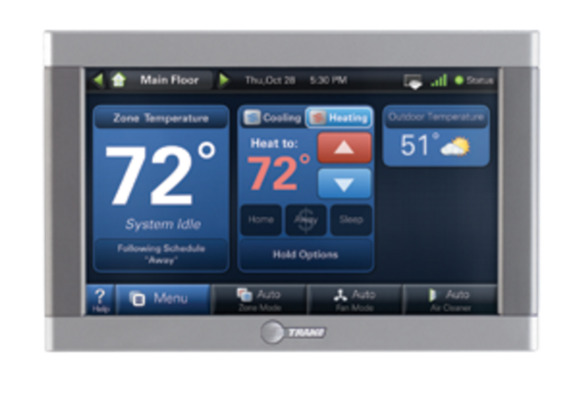 The flaws were found in the ComfortLink II thermostats made by Trane. The thermostats allow users to control room temperature from a mobile device, display the weather and even act as a digital photo frame. Cisco’s Talos unit said the issues have now finally been patched since notifying Trane nearly two years ago, which is why it went public. “The unfortunate truth is that securing internet-enabled devices is not always a high priority among vendors and manufacturers,” wrote Alex Chiu, a Cisco threat researcher, in a blog post Monday. “While IoT devices such as smart thermostats, home lighting, and security systems bring an added level of convenience into our lives, these vulnerabilities highlight the dangers of insecure development practices,” he wrote. Cisco found three vulnerabilities which could be used to gain remote control of the thermostat, run rogue code and gain access to the local network. Trane was notified in April 2014. It patched two of the vulnerabilities in April 2015 and the final one on Jan. 27, Chiu said. The updated version of the ComfortLink II firmware is 4.0.3, which is available on Trane’s website. The problems Cisco found violate some of the most basic security tenets. The ComfortLink II’s firmware contained two sets of user credentials with hardcoded passwords. An attacker could log into the device over SSH and then would have access to a fully functioning BusyBox environment, which is a toolkit for embedded Linux OSes. The other two vulnerabilities related to a buffer overflow, which could be exploited. Trane officials couldn’t immediately be reached for comment.